CertainTeed programs provide contractors with the education to separate themselves from other businesses while learning about the latest products, strategies, and guidelines. 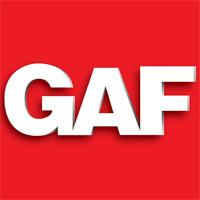 Since 1886, GAF has been North American's largest manufacturer for commercial and residential housing because we make quality and expertise our goal. James Hardie siding products are praised by consumer magazines, contractor trade publications, and even media that promotes environmentally friendly building, making us the choice customers feel confident about. The IICRC certification is given to companies who fit our standards backed by the ANSI of technical proficiency and high ethical standards.